You may have heard the term “friction” being thrown around recently. It’s become a recent buzzword often used to describe where sales process can break down and cause customers to refuse to purchase from your brand. Anything that causes your customer to hesitate is friction. Often friction involves having too many stops in a sales process that deter customers from completing the process. Friction is regularly thought to be a problem that only relates to sales processes of businesses that operate online in some capacity. But friction can also occur on your exhibition stand, and it can hinder your sales results. Removing friction allows customers and visitors to trust your brand and makes it easier for them to spend money with you. Friction can appear in different ways depending on whether you are exhibiting at a consumer exhibition or a trade show. The visitors for that attend consumer or trade shows are different buyers, and as such will respond differently to the friction on your exhibition stand. Below we will discuss how to remove friction from your exhibition stand based on whether you are exhibiting at a consumer expo or a trade show. Exhibiting at a consumer expo means that you’ll have visitors attending who are prepared to purchase products at the expo. If you have friction with your exhibition stand you will lose sales at the expo. Use the guide below to remove the friction from your stand and to help increase your sales. How you choose to display products on your exhibition stand is incredibly important. If you place items in a haphazard manner then visitors will struggle to see the full range of products that you have available, and they will also avoid the entire area. Buyers want an easy buying experience, they don’t want to have to work to make a purchase, they want you to make it easy. 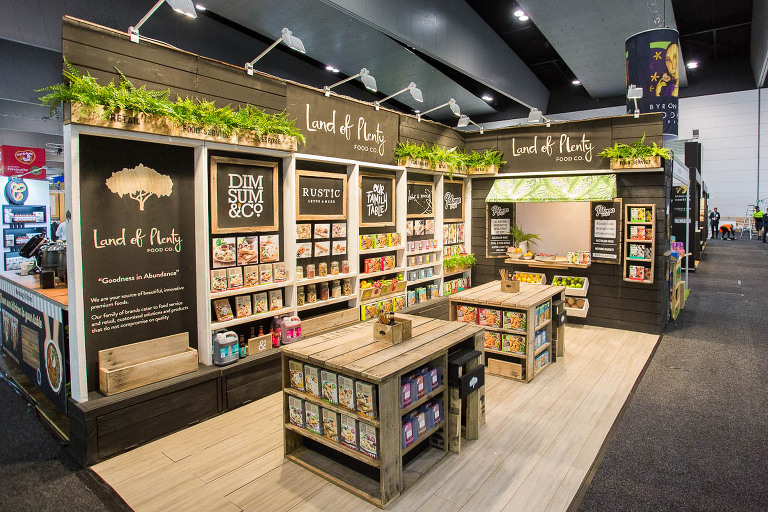 It’s important to choose a stand layout with appropriate shelving that will make it easy for visitors to see all of the products that you have available. This makes it easier to view all your products and buy from you. Too often exhibitors try to cram as many items as they can onto an exhibition stand, resulting in dilution of key products and low visibility of what you are offering. Failing to display products in a coherent manner will result in visitors going to a competitor’s exhibition stand and purchasing from them. To avoid this, ensure that your stand is well displayed and not too crowded. If you are going to be selling products at the expo you will need to have reliable payment systems on the stand. Depending on the type of show and the cost of your products will determine how many different forms of payment systems you should offer. You may want to invest in an EFTPOS facility. With modern technology this is easy to do, you can run an EFTPOS facility from a tablet or even your phone. It is worth investigating these options with your bank well in advance of the show to ensure that you have adequate time to work out any kinks with the software. If you are selling some items that are of a lower price, you might want to consider having a petty cash box for the customers who might want to pay with cash. Keep in mind how difficult it might be to maintain the appropriate cash to give change and be prepared. This preparedness could be in the form of organising a lot of petty cash prior to the show or having another person man the stand with you so that one of you could duck out to exchange money. For expensive items, things like prams at a baby expo, it might be worth investigating how you can offer payment options such as Afterpay or Zip pay. This makes it easier for customers to spend money with you. Visitors to the expo will know you are exhibiting with a large expensive item, and they will often want to test the item before leaving the expo and finding it somewhere cheaper online or they might buy it from a retailer who offers a manageable payment plan, like Afterpay etc. Regardless of which payment methods you offer, make sure that you have clear signs on your exhibition stand, preferably near your counter where you will process sales. Making the purchasing options easy removes all friction from visitors buying from you. If a customer has to guess how they can pay for your items, or if they are unsure in anyway, they will avoid buying from you. Seems like a no-brainer, but you would be amazed how often exhibitors get this wrong. They have a long list of items that they would like to have on a stand, and while they think they have a good idea of where things should go, a good Industrial Designer may pick up on flaws you haven’t considered. An easy to navigate stand goes hand-in-hand with our first point about how you choose to display your products, as an easy to navigate stand means that it is easier for customers to walk onto your stand and see your products. There shouldn’t be shelving or large display plinths on the edge of your stand that will prevent customers from stepping onto your exhibition stand. Some displays on the edge of the exhibition stand can be great to attract buyer’s attention, but the balance of how many display plinths, how big and where they are placed is crucial. Striking the right balance will help remove the friction from your exhibition stand and lead to increased buyers stepping foot on your stand. Having your stand designed by an Industrial Designer who specialises in exhibition stands will help you achieve the right balance. If this isn’t an option for you, when you design your stand or any display shelving that will be placed around the edge, consider how difficult it will be for your visitors to navigate. Critically analyse your stand, if you were a buyer attending the expo and had limited knowledge of your brand would you want to step on your stand? When you sat down to create your exhibition plan you would have established your goals for how many products you would like to sell at the expo. The key to planning your exhibition stand is to not crowd the stand with the entire volume of products you are aiming to sell. You should invest in a storage area for the remainder of the products that don’t fit on the display shelves. Depending on how these products pack down will determine how much storage space you need, whether a whole storage room or just a cabinet that has storage underneath. 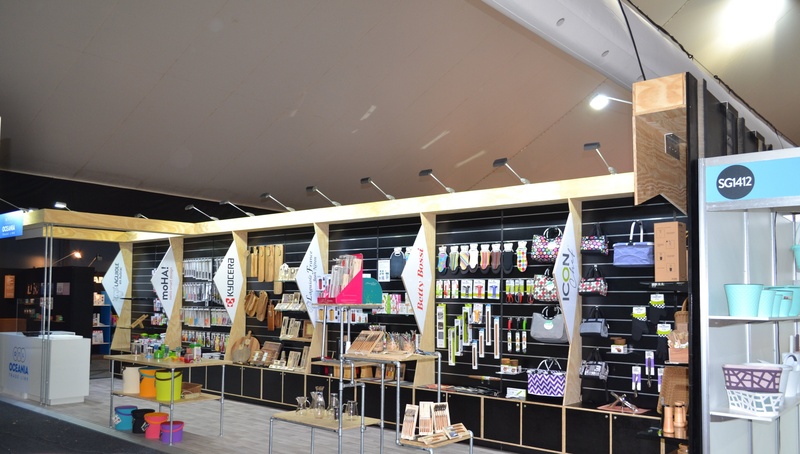 Having adequate storage means that you can use your exhibition space effectively, remove any unnecessary products from the display shelves and essentially remove unnecessary friction that would prevent customers from buying your products. Most exhibitors still rely on the “sales funnel” approach to selling at expos. This approach relies on maximum visitors to the stand in the understanding that not all of them are potential buyers, but the more visitors you attract the more actual buyers will also visit your stand. What if every visitor to your stand was a buyer? That would surely increase your sales right? And make exhibiting all the more worth it? That can be the reality, if you think about the above points and remove the friction from your exhibition stand. This allows visitors to buy from you without hesitation. If you need some fresh eyes to look over where you can eliminate friction from your exhibition stand click below and let us know. Our experienced team can help you stand out at your next exhibition.